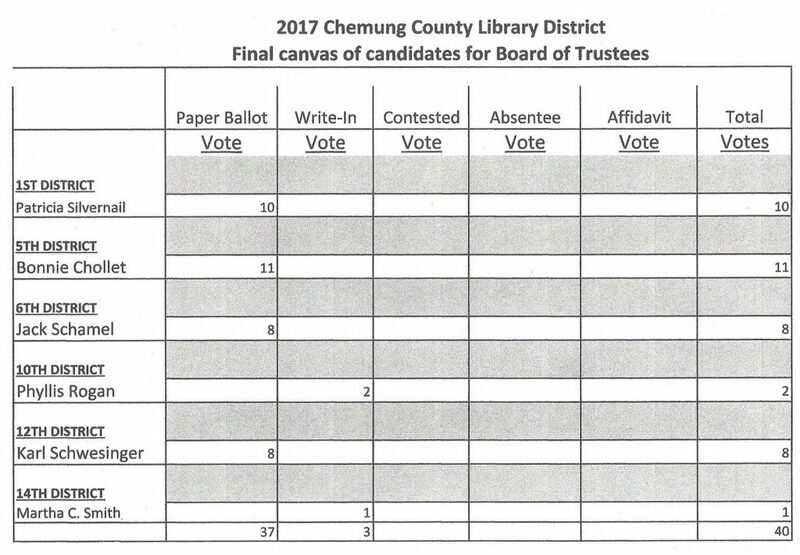 The following chart shows the results of the CCLD Board of Trustees elections that were held at the Steele Memorial Library and Horseheads Free Library on Tuesday, November 7th, 2017. This entry was posted in District News by ccld. Bookmark the permalink. ← Previous Previous post: Don’t forget to vote today! Find your polling place!